Sefton Council is seeking views on the draft framework of a new Sefton Economic Strategy. Comments made from a consultation will present a rationale for the Council’s Growth Programme, one of the four key pillars of Framework for Change, agreed by the Council in January 2017. Strategic economic growth is a key part of the Sefton 2030 Vision that the Council is currently developing. In 2016 when we asked our communities what mattered most to them, in their thousands they told us of their priorities and what was important to them for the future of the borough. 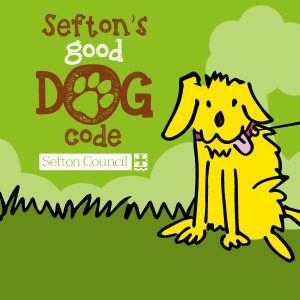 Recognition that Sefton has many natural assets including the coast, local heritage and open spaces and these should be used in promoting the borough to attract businesses, investors and visitors. A 7 week consultation has just opened and Sefton Council is urging as many people as possible to get involved. Cllr Marion Atkinson, Sefton Council’s Labour Cabinet Member for Regeneration and Skills, said: “This is the first draft of the framework for a new economic strategy for Sefton and we really want to hear from all sectors of our communities. “It sets out to identify the key economic and social challenges which should be the focus of the strategy and outlines the headline economic growth objective and the framework for action. “We recognise the importance of working in partnership with our many key partners and stakeholders from the private sector, communities, voluntary sector and local businesses. This consultation is for everyone and can help define our future. The consultation will run from March 8, 2018 to April 27, 2018. A consultation into a proposed redevelopment of the former Birkdale School for Hearing Impaired Children in Southport is to launch following discussions between Sefton Council and Octopus Healthcare Group. Octopus Healthcare Group will run the consultation in the coming months regarding their multi-million pound investment proposal to redevelop 40 Lancaster Road, Birkdale into an Extra Care accommodation site. Their proposals includes the conversion and remodelling of the listed school building, construction of communal facilities, extra care accommodation and improvements to the grounds. The proposal is now subject to a community consultation before applications for planning and Listed Building Consent are submitted to Sefton Council’s Planning department. Cllr Daren Veidman, Sefton Council’s Cabinet Member for Planning and Building Control, said: “It has long been the Council’s aspiration to work to secure a sustainable and sensitive use for the former Deaf School. “Over the last seven years the Council has directed significant resource trying to secure the site and to prevent the further deterioration of the building. “The beneficial future use of the building will secure its removal from the Council’s listed buildings at risk register while also contributing to the removal of West Birkdale conservation area from the national ‘at risk’ register. A spokesperson for Octopus Healthcare added: “We are delighted to present our exciting proposals to the community at which will include an exhibition of the scheme at Southport Town Hall on March 15, 2018. The proposal is to create up to 120 extra care apartments and associated facilities to include a bistro, residents lounge, library and hair and beauty salon as well as providing on site care. The site at 40, Lancaster Road was originally opened as Terra Nova, a private boarding school in 1901 before it became the school for the partially hearing in 1948. It remained as such until 2003 when it was sold to developers and has remained vacant ever since. The building was made a grade II listed building in 1999. Private Landlords across Sefton are being reminded they will need to apply for a licence to rent out their property from March 1. From this date, Sefton Council requires landlords of private rented properties in some parts of the borough to apply for a housing licence. If you are a private landlord in Sefton and haven’t already, you need to check whether you will need a licence to rent out your property and if so, apply for one. If your property is in the Bootle (L20, L21) area you may need a Selective Licence. If your property is in Seaforth (L21), Waterloo (L22), Brighton-le-Sands (L23) or Southport (PR8, PR9) AND it is a House in Multiple Occupation (HMO) you may need an Additional (HMO) licence. Cllr Trish Hardy, Sefton Council’s Cabinet Member Communities and Housing, said: “I would strongly advise landlords to check whether their properties need a licence and, if so, to apply for one as soon as possible. “This is a new scheme for Sefton and landlords will need to have applied for a licence by the beginning of September. “A rigorous enforcement regime will commence after this date and landlords found to be operating unlicensed property will face tough penalties. New staff have been recruited to operate and enforce the schemes which will be funded through the licence fees. The team will also include a new apprentice. If a property falls within either the Selective or Additional (HMO) licensing areas and is licensable under the Mandatory scheme landlords will not need to also apply for either a Selective or Additional (HMO) licence. You can check if you need a housing licence, which type of licence you need and apply for a housing licence at www.housinglicensing.sefton.gov.uk.